A Sicilian Nobel prize winner. 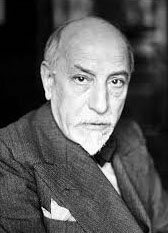 Luigi Pirandello is considered one of the teachers of twentieth-century literature. Born in Agrigento in the nineteenth century, in 1936 he won the Nobel Prize for Literature. Author of a vast production of books and plays, novels and short stories, Pirandello is now studied in Italian schools as one of the most influential artists of the Italian Literature. A century after, modern culture remembers him as the first writer to have analyzed the clash between society and morals, between social conventions and the individual's subjective reality, portrayed in full, with the new century human identity crisis. Paradoxical are his characters, all in search of an author, as in One, No One and One Hundred Thousand, the novel in which the main character realizes one day that he had a crooked nose, and realizing that for a long time he has had a different perception of himself, and of reality as perceived by others.